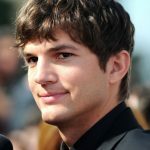 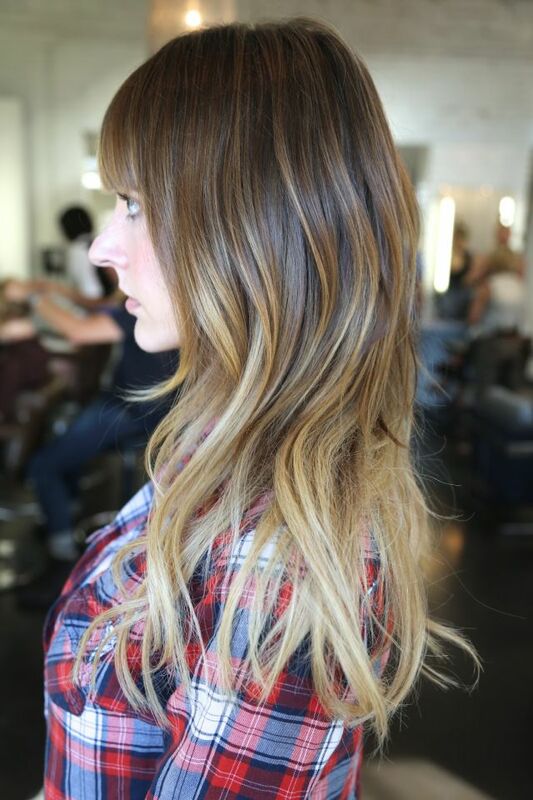 This year, the ombré hairstyle is more exciting than ever with the introduction of fantastic dual ombré hairstyles! 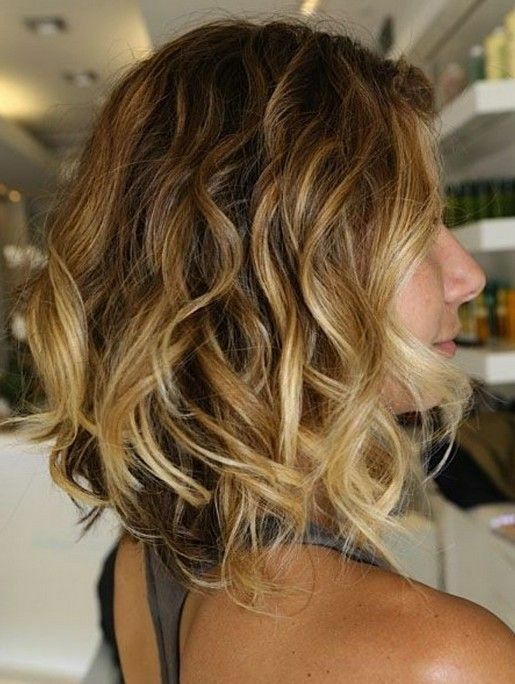 No matter how much technology progresses, we still look to the natural world for inspiration when we choose colours for highlights and ombré hairstyle innovations. 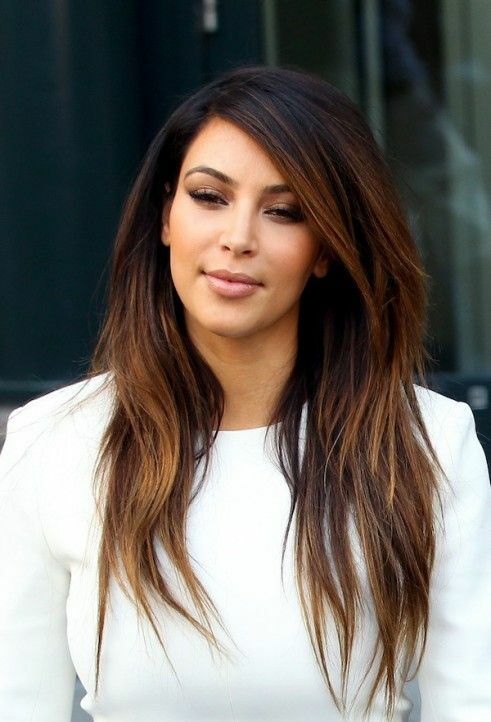 But this year the dual ombré hairstyle is here to offer every haircut a highly contemporary twist! 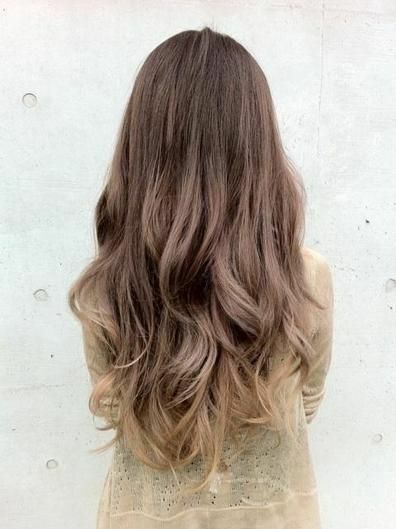 On long brown hair with a V-shaped back and layers, a copper ombré which then transforms into a beautiful coppery-gold shade at the tips is a stunning new look! 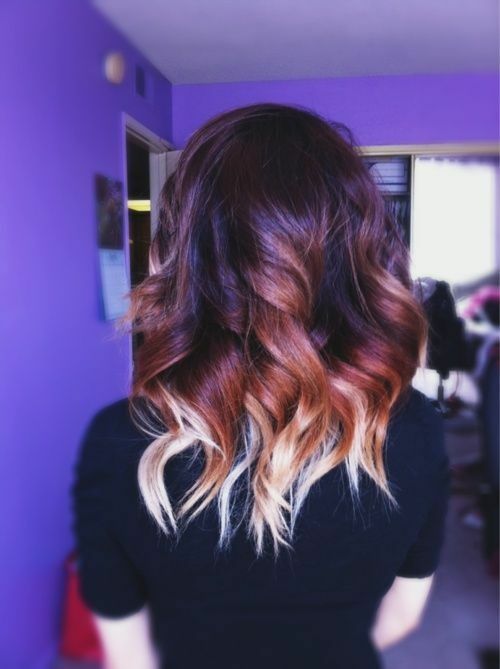 Or on long barrel curls you can have a burgundy red shade from the roots to half way down, then a reddish-brown section before a beautiful orange shade at the ends! 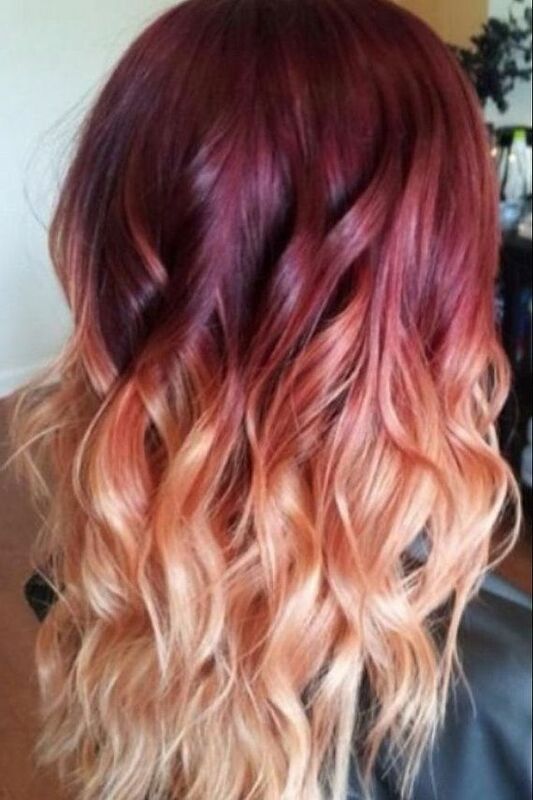 Just like the beautiful autumn colours we see on the trees and a totally new ombré hairstyle idea for AW14. 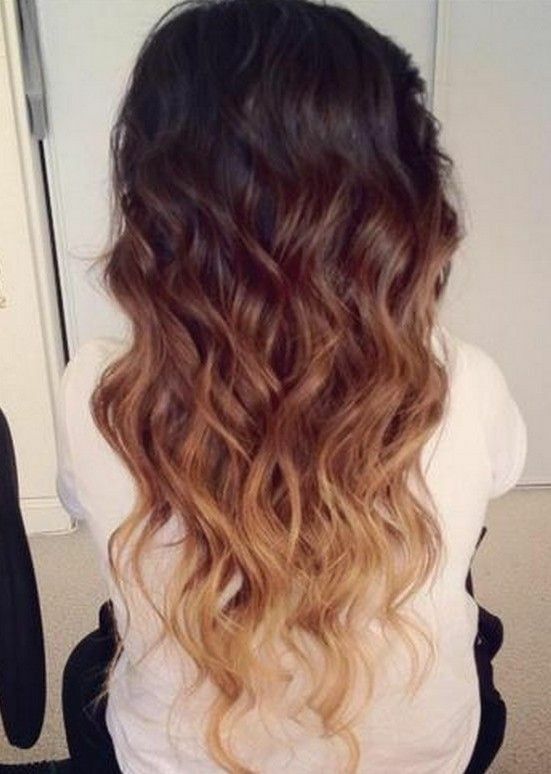 On dark brown hair that doesn’t have any natural red in it, mix in some separate strands of caramel and honey ombre highlights in the lower lengths. 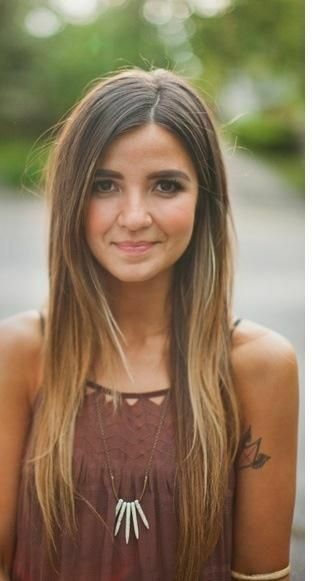 If you prefer a subtle look, add the highlights in the underneath layers and let them peep through the dark hair in a very attractive contemporary way. 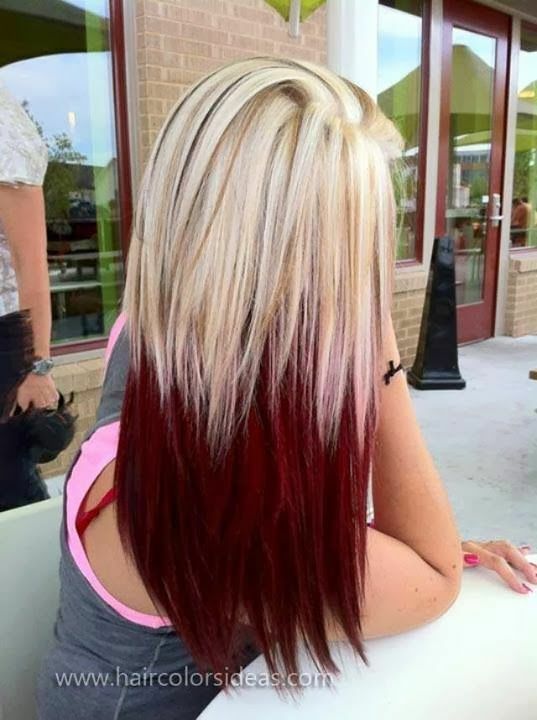 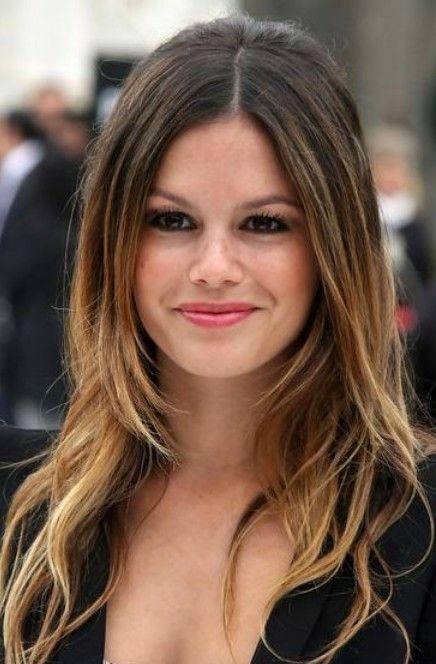 Another totally new ombré hairstyle on light, medium brown hair in a curly style has a blonde side-swept fringe, and one or two blonde ombré strands along with a couple of bright red ombré highlights. 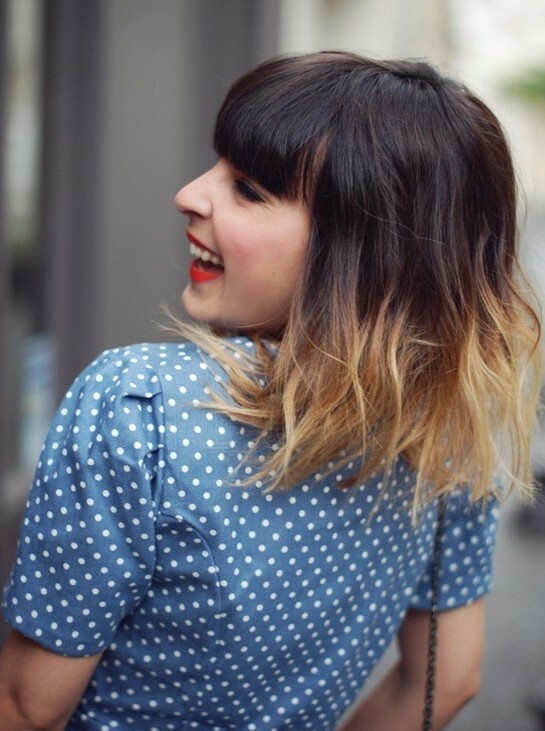 It looks fantastic and totally original for an AW14 makeover. 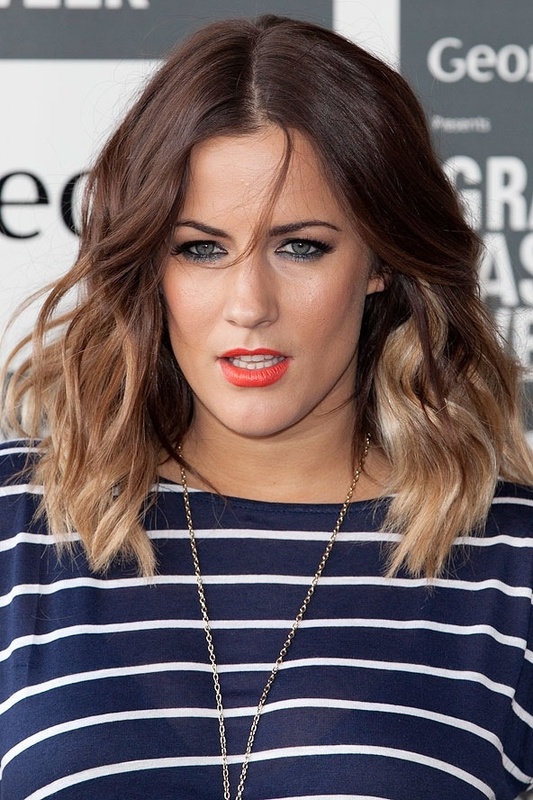 Black hair with light ash-brown ombré is an edgy look for straight hair, teamed with the new straight across full fringe or a fabulous V-shaped fringe down to a peak between the eyebrows. 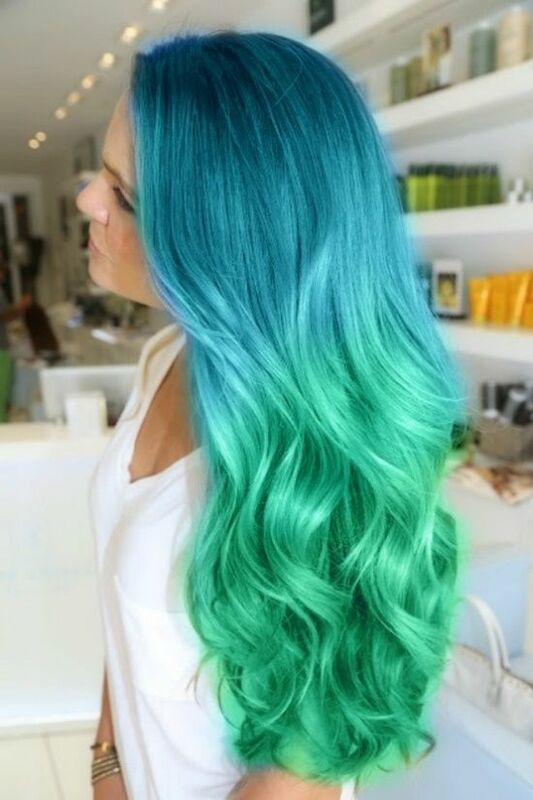 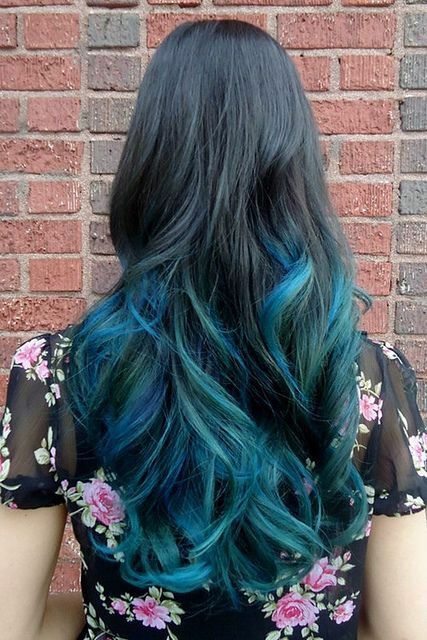 If you have a cool blonde base colour and have loved the wavy mermaid look of summer, why not switch to a blonde main colour, changing to a narrow band of turquoise and then merging into a beautiful deep blue shade in the last two or three inches. 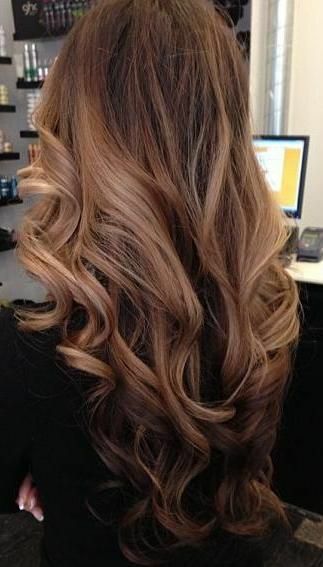 Top tip: If you want a quick and easy way to pep up your current ombré at home, I can personally recommend the Revlon Nutri-Gloss temporary hair-colour-gloss in a conditioner base. 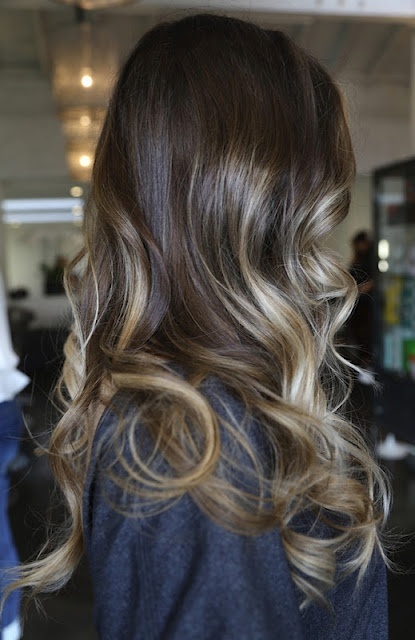 Just use it after your shampoo and leave for 3 minutes to maintain your colour, or put it on the ombré strands only and leave it for 5 minutes for a quick colour change! 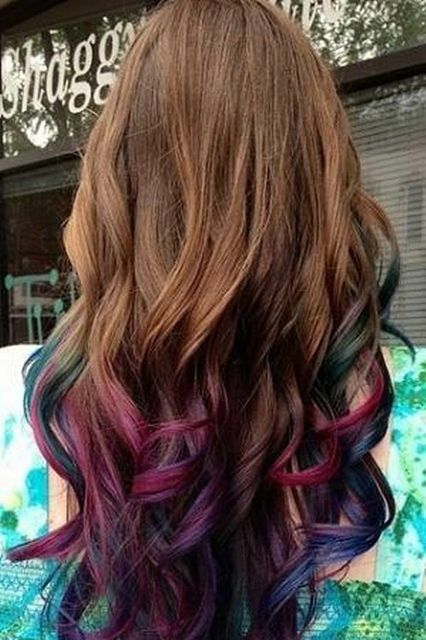 You can buy it online on eBay and other sites. 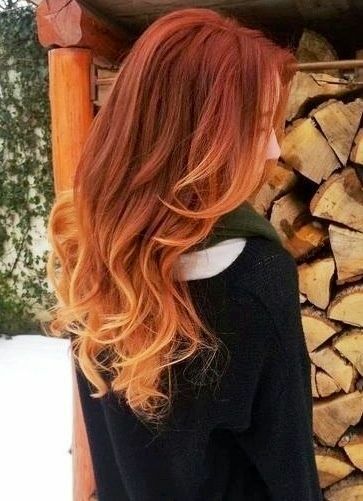 So, I hope I’ve whet your appetite for my latest Inspiration Gallery of fresh and imaginative new ombré hairstyle colours and techniques for autumn – they’re gorgeous! 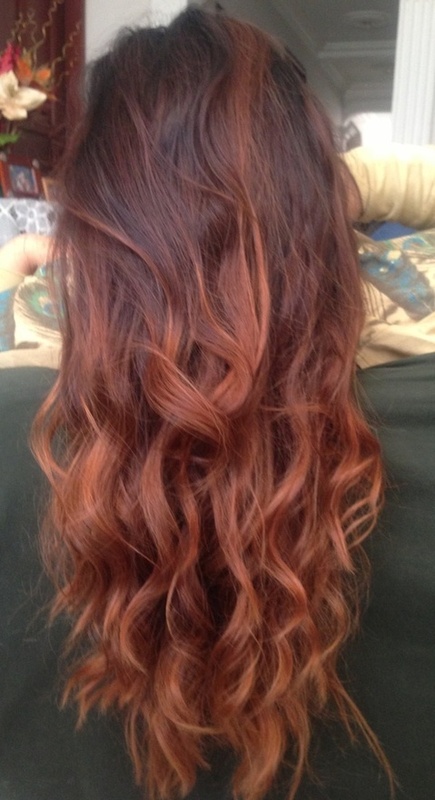 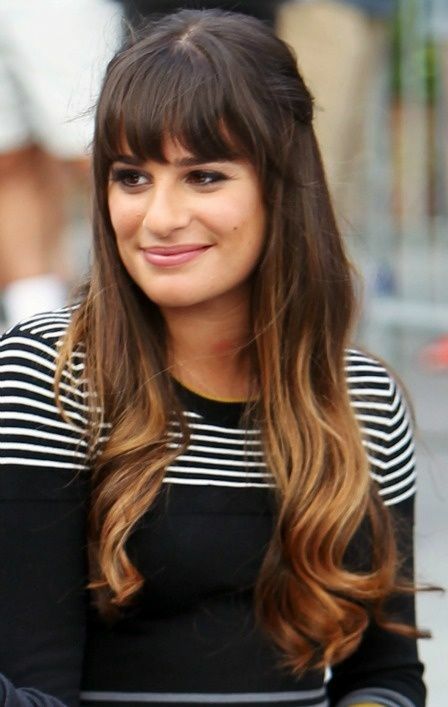 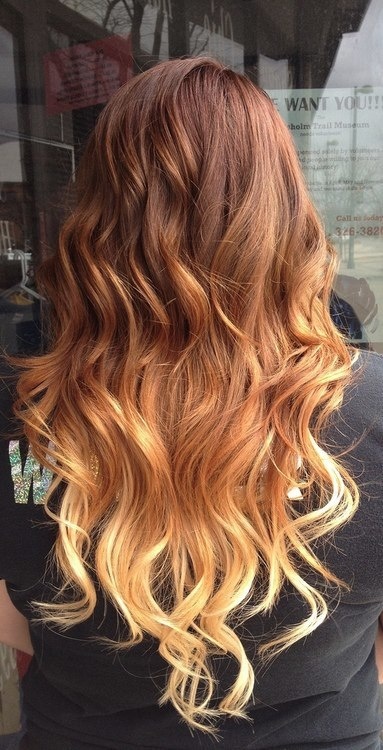 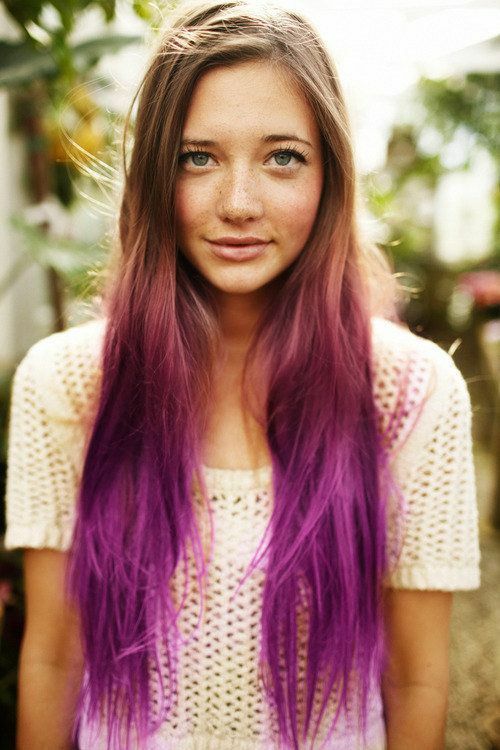 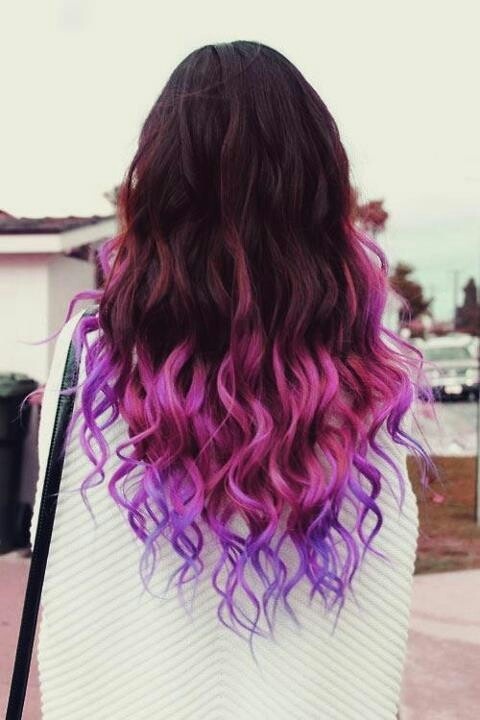 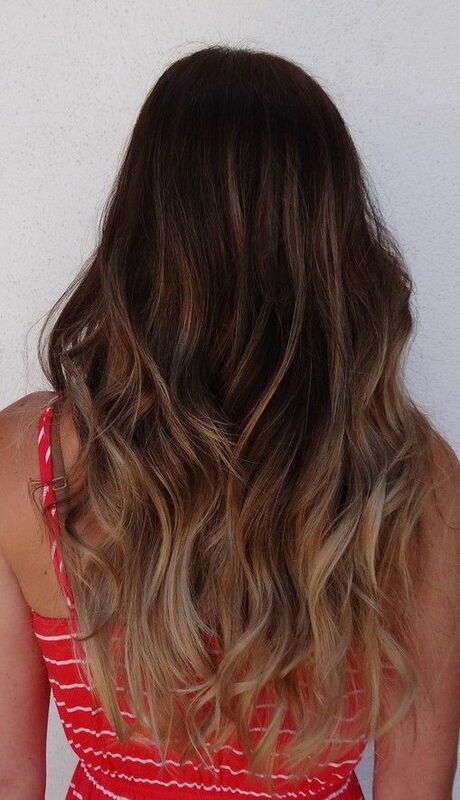 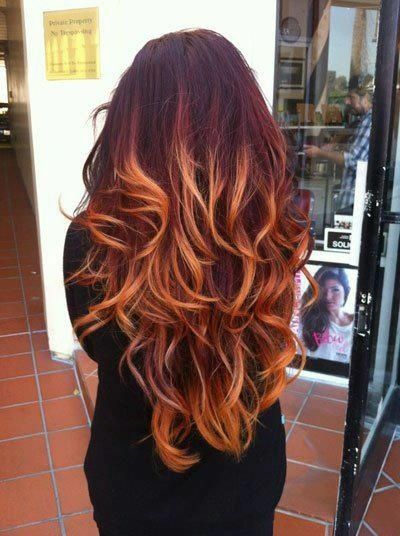 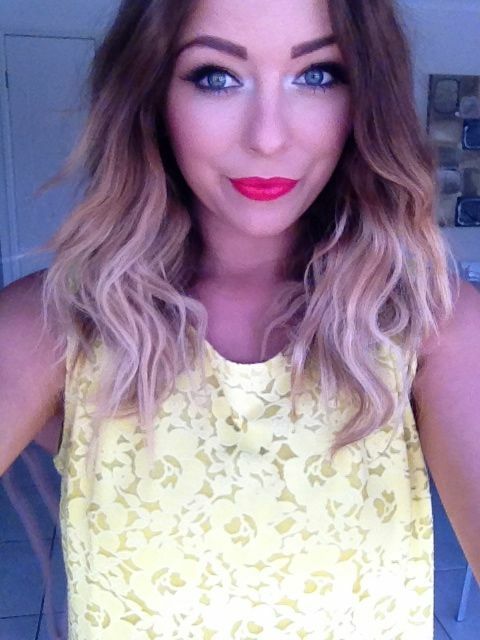 Do you like these stylish ombre hair? 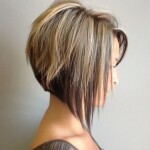 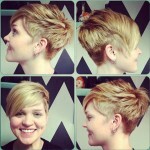 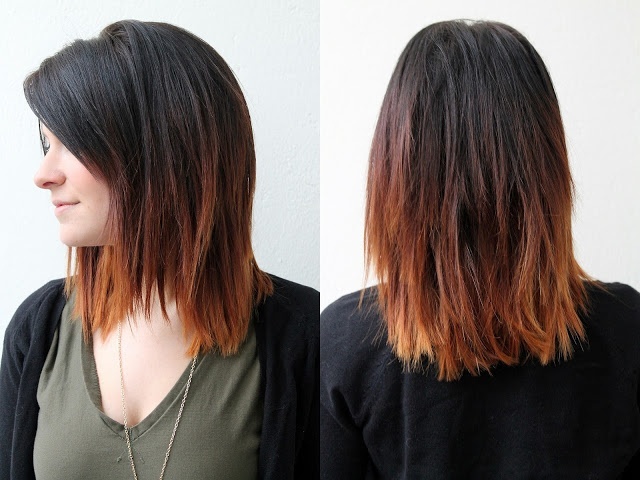 And here are more ombre hairstyles for short hair!